℗ 2015 ECM Records GmbH under exclusive license to Universal Music Classics, a Division of UMG Recordings, Inc.
"Four Stars ... (explores) the wonderful colours of a Franz Brodmann fortepiano of 1820. Schiff conjures wisp-like sonorities and never makes an ugly sound ... the Moments musicaux crackle with incisive effects." "Four Stars. His respect for the inherent limitations of his instrument’s dynamic range guides the music inwards. Intimacy and restraint are the keywords in performances which never seek to overpower either the listener or the instrument ... it’s Schiff’s achievement to sound fully at one with his unusual instrument’s natural voice." 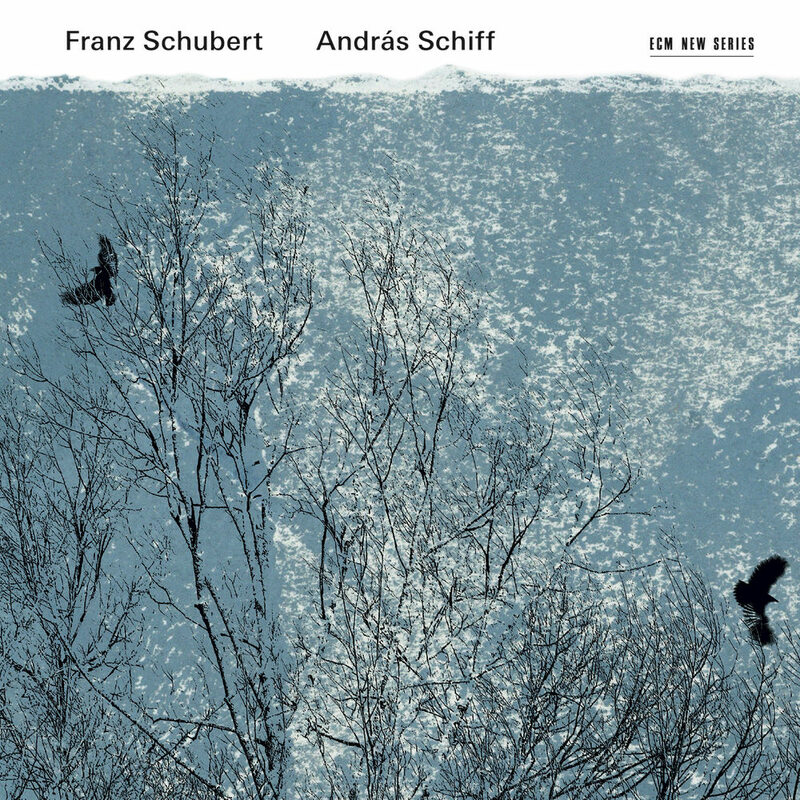 András Schiff’s reputation as one of the great interpreters of the work of Franz Schubert is well established. He has always maintained that Schubert’s music is amongst the most moving ever written. The Hungarian pianist has long been concerned with period performance practice, leading to a gusto for period instruments, underlined on this remarkable recording. Schiff addresses two Schubert sonatas on a period instrument, a Franz Brodmann fortepiano built in Vienna in 1820, formerly owned by the Austro-Hungarian imperial family. The piano was carefully restored in 1965 in Basel; Schiff purchased it in 2010 and placed it on permanent loan to the Beethovenhaus in Bonn, where he is an honorary member. "My fortepiano was built by Franz Brodmann in Vienna in 1820. It is to me ideally suited to Schubert’s keyboard works. There is something quintessentially Viennese in its timbre, its tender mellowness, its melancholic cantabilità ... it is in the quiet and quietest moments when Schubert, like nobody else, touches our hearts."